This project, run by the Centre for Bibliographical History at the University of Essex, aims in a series of stages to build a union catalogue of manuscript fragments in the British Isles. Here are two well-known facts: books are the most numerous survival of pre-Reformation European civilization, but the majority of manuscripts that were created no longer survive. The study of manuscripts tends to concentrate on the minority that are complete survivals, but there is an intermediate world between living manuscripts and those that have died: there are those that exist in fragmentary form, tantalising glimpses of what once existed. Loss can occur through neglect or over-use, accidental damage or conscious dismantling. The tradition of dismembering books has its own life cycle, being more fashionable in some places at some times than others. In England, for example, the sixteenth century saw one of its zeniths, when the making of new books often involved the destruction of older books. Sustained attention to fragments has certainly been less frequent than that given to extant complete codices. There has been some notable work -- one to which this project is particularly endebted is Neil Ker's Pastedowns in Oxford Bindings (1954, repr. 2004) -- and there are some exciting on-line initiatives already afoot. This project is founded on the belief that a wider understanding of the fragmentary can be transformative of our understanding of manuscript culture and relevatory about the processes of discarding which were part of the long, slow death of that culture. The aspiration of this project is to provide the groundwork for that transformation by building up -- funding permitting -- a union catalogue fragments in the British Isles in a series of stages. As explained in more detail in the discussion of the principles of cataloguing fragments, each cutting is taken as having a dual identity and the process of cataloguing responds to this double nature: fragments are described as individual entities, and those which can be identified as coming from a 'lost manuscript' are also gathered together and that re-imagined codex given its own description and its own shelfmarks. Seeking a designation for those codices which, because their elements are dispersed, can be in many places and in none, we have chosen to conceptualise them as the manuscripts of Babel. The first stage of this ambitious undertaking is a pilot project intended to experiment and test the possibilities. 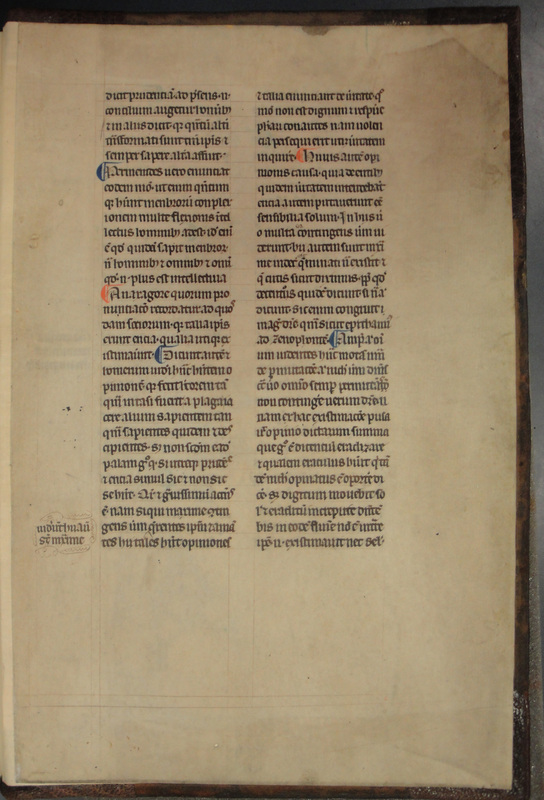 Generously funded by the University of Essex, its focus is the range of manuscript fragments to be found in volumes owned by Samuel Harsnett (1561-1631), archbishop of York (1629-31), which are now housed in the Special Collections of the University's Library.